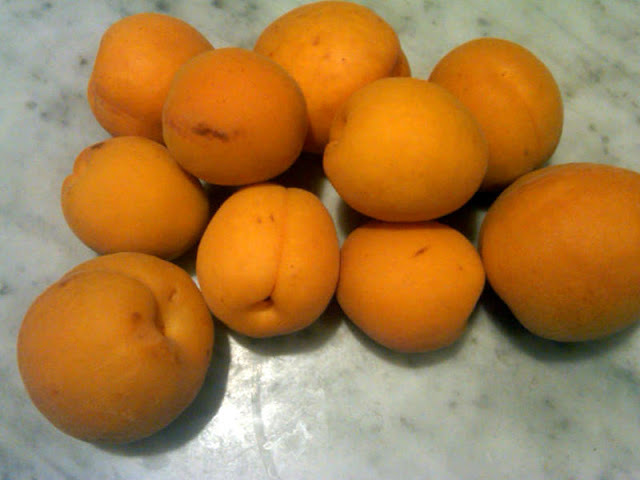 While one can buy apricots all year round, the only ones worth eating -- the really delicious local ones -- are in season for just a few weeks. I was thrilled to find some at the farmer's market on Saturday. Ah, but what to make with these pale pink blushed beauties. 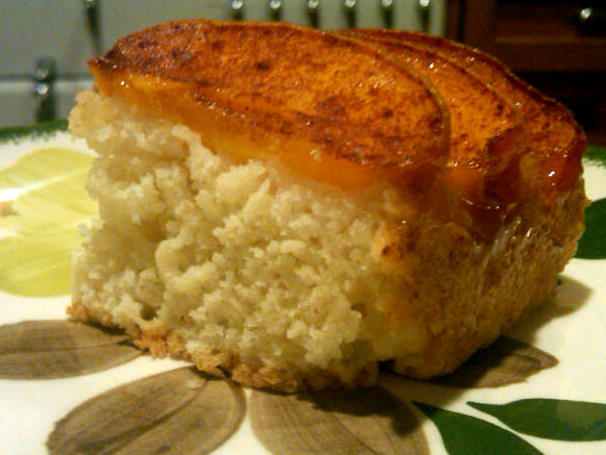 I had eaten too many out of hand, so didn't have enough for a pie, but then I discovered an unusual recipe -- an adaption of a Dutch Apple Cake -- in the 1931 edition of The Boston Cooking School Cook Book by Fannie Merritt Farmer. If you like biscuits and fruit, you'll love this. And it took literally five minutes to make. 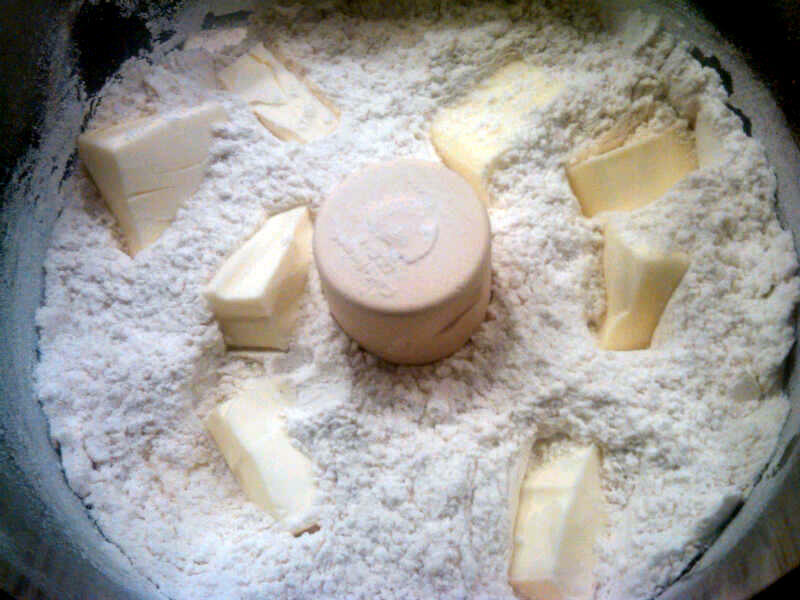 First, I cut the butter into the flour, salt, sugar and baking powder quickly using my food processor. Then I poured the milk in slowly and mixed until the dough came together. The batter is easy to work with; you just pat it into an eight-inch pan. Pit and slice the apricots and place atop the dough. Next, sprinkle on some sugar and cinnamon. The amount isn't specified; next time I will be much more generous with the sugar. For good measure, and because butter can only improve everything, I deviated from the recipe by dotting it with butter before placing in the preheated oven. Voila. After a while in the oven (I forgot to time it, but an intoxicating aroma will alert you when it's done) a gorgeous cake emerged, the top all caramelized from the butter and sugar. This is less a cake than a very moist and toothsome biscuit with fruit, and one perfect for an afternoon snack with a crisp white wine or cup of fresh brewed coffee. The basic recipes are below. 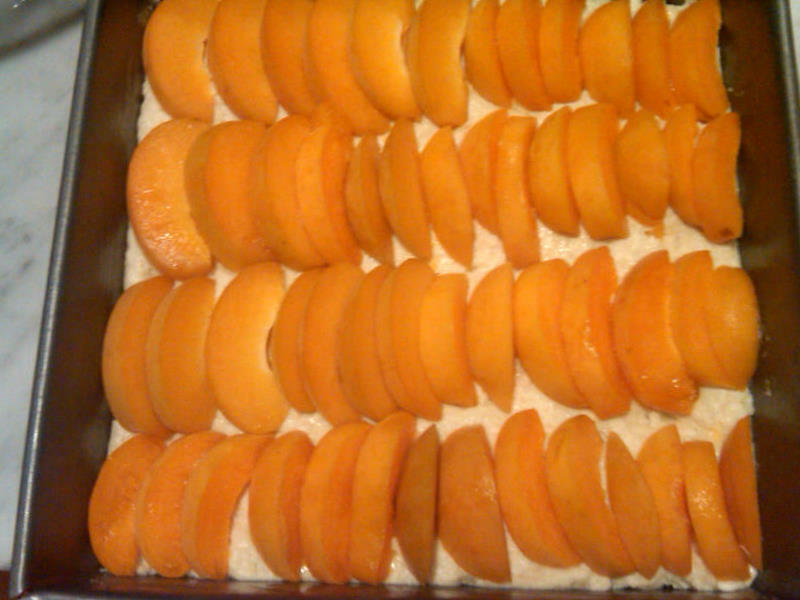 Make the shortcake and then simply substitute apricots for the apples in the recipe below. 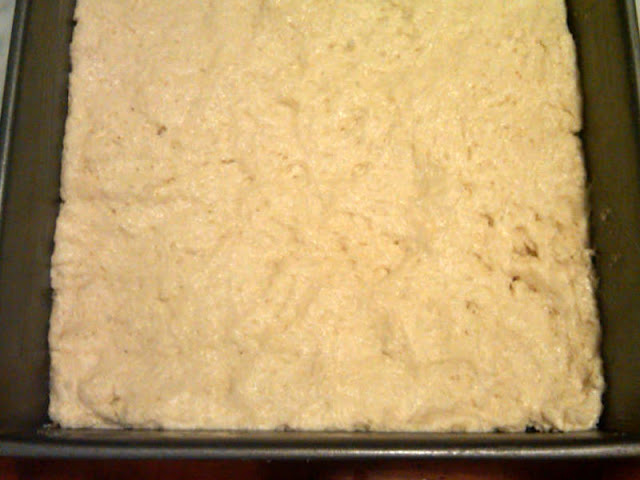 Fannie calls this fruit kuchen. 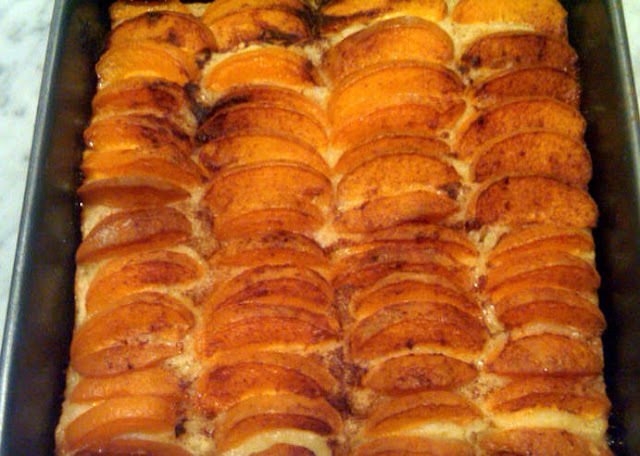 Peaches or plums can be used, as well.